This post brought to you by CH Distillery. 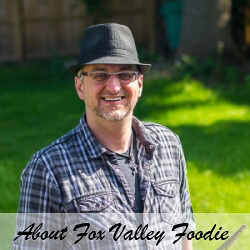 The content and opinions expressed below are that of Fox Valley Foodie. 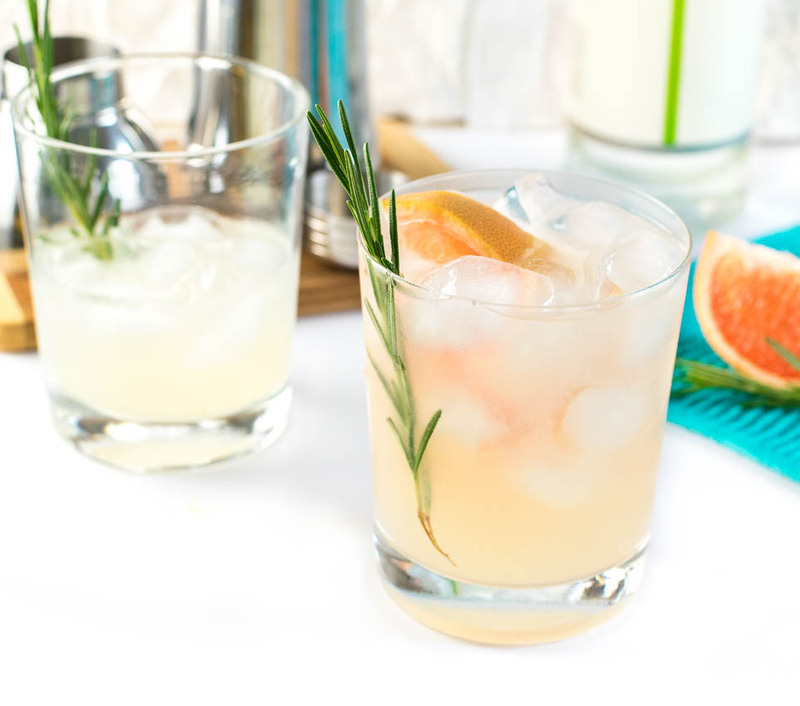 Bright splashes of hand squeezed citrus livens up this Lime Grapefruit and Rosemary Gin Gimlet. One item I’ve had on my bucket list as of late is to get reacquainted with gin. After all, there is no better way to lift your spirits, than to lift a couple spirits! I hadn’t really sat back with a gin cocktail since my days in college when I largely turned my nose up at any concoction that didn’t taste exclusively of spiked sugar water. However, much like my prematurely gray hair, my appreciation for a wider array of flavor profiles has spread considerably in the past decade. This led to an almost giddy eagerness, all too rarely visited upon adults, when presented with an opportunity to try CH Distillery’s Key Gin. CH Distillery creates real Chicago vodka, with CH Key Gin being distilled from their flagship spirit. Slow sips of the gin reveals a refreshingly light taste with hints of lime and lavender. It was a perfect base for a premium cocktail! Armed with fresh citrus and herbs I donned my mad scientist jacket and retreated to my kitchen to gin up a libation to properly compliment the spirit. Encouraged by multiple deliciously close calls, I finally settled on this Lime Grapefruit and Rosemary Gin Gimlet which nicely balances the earthy flavor of rosemary against the bright punches of fresh citrus juice, while still allowing the gin to shine through. 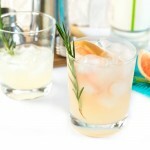 If you are a gin lover, this Lime Grapefruit and Rosemary Gin Gimlet is the cocktail for you! Actually, if you are a gin lover, add it to your list to visit CH Distillery in Chicago. CH Distillery isn’t just about producing premium spirits; CH Distillery is a destination you will want to check out next time you are in Chicago (564 West Randolph). They offer tours, cocktails, dinners, and more! Check out the full list of CH Distillery Events. While you are there, you will want to pick up a few bottles of your favorites. After all, you will only find their liquor sold in the greater Chicago area. But don’t worry, between the Vodka, Gin, Rum, Bourbon, Amaro, Limoncello and flavored Brandy’s they offer, you will have no problem finding a few new drinks to fall in love with! 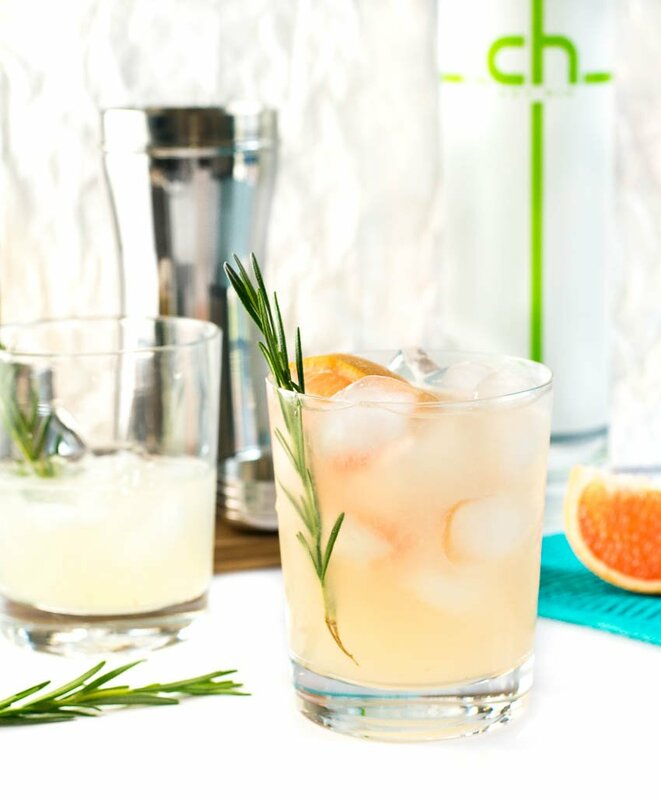 The earthy flavor of rosemary balances against the bright punches of fresh citrus juice in this Lime Grapefruit and Rosemary Gin Gimlet. Add gin, lime, grapefruit and rosemary syrup to cocktail shaker. Shake to combine then pour over ice. Place sugar, water, and rosemary in saucepan and stir to combine as you heat the syrup to a boil. Once all of the sugar has dissolved cool the syrup for use. 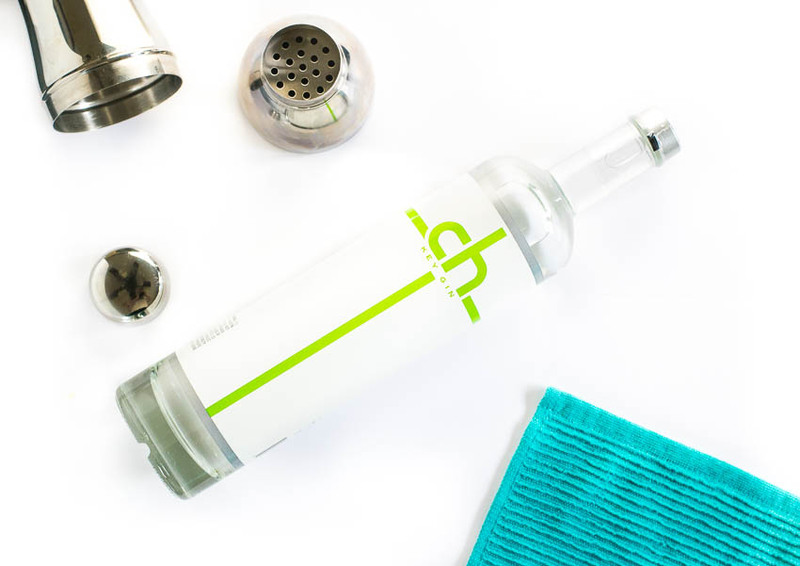 Have you tried CH Distillery spirits? I’d love to hear your thoughts in the comments! Also be sure to check out the full list of CH Distillery Spirits available! If you enjoyed my Lime Grapefruit and Rosemary Gin Gimlet recipe then you should probably like me on Facebook and follow me on Pinterest too. That’s what I would do at least, because if you don’t get to know me but you still use my recipe it is kind of like taking candy from a stranger, and your mom taught you not to do that. Don’t disobey your mom, subscribe to Fox Valley Foodie today. Brings back memories of my trip through the South last Summer. Really refreshing. Thanks! Far too strong for me. Had to treble the quantities of the non-alcoholic ingredients.